Amber’s Honorable Mentions: Believe me when I say that the only game I may never turn down is Werewords. So when Ethan suggested we upgrade to the Werewords Deluxe edition, I was all about that! Adding new token types (“so close” and “way off”), new roles, speed words mode, artwork updates, and narration changes, this was definitely worth the investment, even though we already had the non-deluxe version. This game still gets lots of plays in our house and is typically played no less than three times when it comes to the table. “But Amber,” you may be saying, “Wasn’t this game your top game of 2017?” Yes, Werewords was my top game of last year; having played at least 33 games in 2017 and at least 68 games in 2018, there is good reason that it was on my list. But it didn’t really feel like a brand new game this year, more like an expansion, so while I still love this game and this version is technically new, it only receives an honorable mention this year. Ethan’s Honorable Mentions: This one gets an honorable mention from me, mostly because it’s not a wholly new game, but rather a re-implementation of a game from 2011. Pictomania 2nd Edition can essentially be described as simultaneous Pictionary. Up to 6 players are all drawing at the same time from a set of 21 possible words (7 words in three different categories). While you’re drawing, you’re also trying to guess what everyone else is drawing, and quickly, since you get more points the faster you guess correctly. And you don’t want to make your drawing un-guessable, because you lose points when others can’t guess what it is! I really like drawing games, even though I’m a terrible artist. I feel like a lot of modern drawing games (like Telestrations or A Fake Artist Goes to New York) don’t necessarily require good art skill, and I’d say Pictomania is part of that group now too. While you do want people to guess your drawing, as I mentioned, it’s more about making it recognizable enough for others to understand while being able to quickly guess everyone else’s drawings. On top of that, the word lists get more difficult for each of the game’s four rounds, so while you may start with things like animals and fruits, you can end having to draw a feeling, abstract concept, or a place to get food/drink (and try drawing a tavern and making it distinct from a bar, saloon, restaurant, etc.). I’ve really had a lot of fun with this game so far, and when we brought it to a recent meetup, the folks we played with immediately wanted another game! It’s a fast and frantic party drawing game where paying attention to what everyone else is as important as drawing well yourself! #5: The Mind & Welcome To . . .
Amber’s Opinions: Sometimes I just like things that are easy. Easy to learn, easy to explain, easy to get new people into. I’m always on the hunt for something we can play while taking a break, sitting in a restaurant, or waiting for events to start, so when The Mind was released, I was intrigued to see how this would fit into the “easy” niche. It’s nearly set up right out of the box, minus a bit of shuffling of course, so that was one wonderful tick towards easiness. The instructions were easy to read and easy to explain in less than five minutes, and really five minutes is a generous amount of time, because I’m pretty slow at teaching games. Game play, however, takes this from just an easy throw away to a fun, challenging filler game. I mean, it’s pretty easy to put cards in numerical order from lowest to highest right? But if you’re like me, not talking is nearly torture. Having to stare people in the eyes and see into their soul to know if they have a card lower than 27? That’s next level. But in all seriousness, The Mind has been a fun filler for our group, even if it has been described by some people as more of “an activity than a game.” I say, poo on those people! I have noticed, though, that you can start to “figure people out,” so changing it up and playing it with new people may give the game more freshness. Ethan’s Opinions: This is a flip-and-write game we only played for the first time a few weeks ago, but already after just a few plays I can tell it’s one of my favorites for this year. In this game players are trying to build up the best neighborhoods by filling in house numbers and other special features on their sheets. Each turn, there are three available house numbers, each with a corresponding feature (a swimming pool, a park, fence, roadblock, etc.). All players choose one of the numbers and write it on one of the houses anywhere on their paper sheet, with the main placement rule being that house numbers must be written in ascending order in all three rows of houses. Each available number will also have a special feature players can use: fences allow you to form groups of houses for scoring purposes, parks give you more points if you have more on the same street, roadblocks let you adjust the house number you’re placing up or down by 1 or 2, et cetera. There are also special scoring cards available when players meet certain conditions, most often by having specific groups of houses fenced off together. The game continues until all three scoring cards are claimed, until a board is filled, or until someone can’t legally place a house number for the third time. Then you add up scores to find the winner! Roll-and-write/flip-and-write isn’t a genre we have too much experience with, but I do like it a lot. It really is the epitome of a multiplayer solitaire experience, where everyone is doing their own thing and everyone’s board will look very different by the end of the game. With Welcome To…, there are definitely meaningful choices you’ll be making each turn, and while there is some luck of the draw at play, there is a lot of opportunity for strategic play. Being able to claim one or more of the special scoring cards seems like a pretty dominant strategy, so it will be interesting to see in further plays if that is necessary for victory. I am definitely hoping to play this game a lot more in the future as we say Welcome To… the new year! Amber’s Opinions: Sometimes, a gaming experience is so fun that it becomes one of my favorites simply for the wonderful opportunity it provided. Betrayal Legacy was this experience for me. 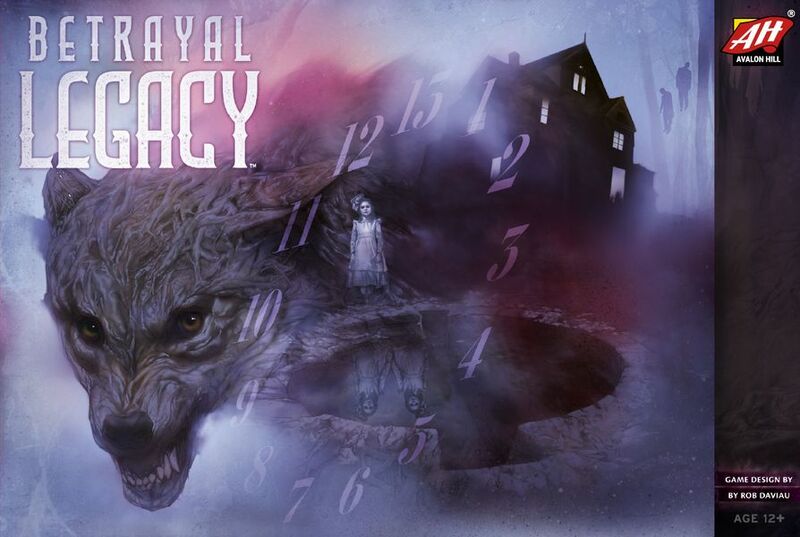 At Gamehole Con 2018, we were able to snag tickets to the “Play Betrayal Legacy with Rob Daviau” event and boy were we excited! Rob Daviau has designed a lot of very loved games, including Risk: Legacy, Pandemic: Legacy, Ultimate Werewolf: Legacy, Seafall, and the upcoming Machi Koro: Legacy. Okay, I know, I really love legacy games. But with Rob behind the wheel of the game, they really run so well. Betray Legacy has taken a game that is very welcoming to new players and gives these players an avenue into the ever growing realm of the legacy world. With our Rob Daviau event, we were able to play both the prologue and the first actual game of the campaign. The prologue was a great reminder of how to play the game, as we hadn’t played in a while, and I can imagine it’s a great way to introduce new players to the game mechanics. While playing, I was able to see little glimmers of inspiration from other legacy games pulled into the play of Betrayal Legacy, which was designed around the same time that Ultimate Werewolf Legacy was being designed as well. I don’t want to spoil too much of the game play for you fellow Legacy lovers, but if you like the game play of the original game and are ready for a bit of an update or have a group that’s ready to try their hand at their first Legacy game, this is definitely worth picking up. Ethan’s Opinions: My #4 pick is another party game. I feel that a lot of newer games are reinventing classic games, which isn’t necessarily a bad thing. For example, Banned Words and Trapwords are modern takes on Taboo, Paperback and Hardback are Scrabble crossed with deck-building and the aforementioned Pictomania is a fast-paced, simultaneous Pictionary. In the same vein, TAGS is a modern version of Scattergories, which is a game Amber and I both grew up with and love. In TAGS, the “board” consists of a grid with 4 letters on the side and 5 categories on top, printed on the titular tags so they can change each round. The grid is populated with marbles in 3 colors: white, blue, and black. On each player’s turn, they have 15 seconds to name things in the given categories starting with the given letters, taking the marble at the intersection for each combination they give successfully. When the time is up, the board is rotated for the next player, who can try to gain any of the remaining marbles, and so on until either all the marbles are claimed, or until everyone has had a turn where they don’t claim any marbles. If you take the last marble for a category, you also claim that category’s tag, earning an additional 2-5 points. The marbles are worth 1-3 points, depending on their color, and they are randomly distributed around the board, so you may want to try to strategically claim the higher-valued black marbles first, or try to clear out a category for the tag bonus. This game definitely has the Scattergories feel, except only one player is listing words at a time, and you have to do it in 15 seconds. It is really easy to draw a blank when you’re the guesser, but everyone else has time to think of words while they wait for their turns. The components are all of a high quality, especially the marbles and the insert that holds the boards and tags, but the score track doesn’t make a lot of sense to me. It’s L-shaped, as though it’s supposed to go around the board, but it doesn’t really work when the board is constantly turning to the next player. There are 25-point chips you earn after going around the score track; I wish they would’ve just done all the scoring with point tokens. But that is a relatively minor complaint for an otherwise fun party game. If you like Scattergories and are looking for something else in the same vein, you can’t go wrong with TAGS! Amber’s Opinions: I love Scattergories. I won’t even say that I USED to love Scattergories, because to this day I still love that game. When I was kid and my mom would let us pick out a game to play, that was my go to choice. I was always proud of my multi-word alliterations, scoring multiple points in one line. As an adult gamer, I continued loving word games, finding ways to use words cleverly to describe things (like in Banned Words or Word Slam), but nothing really filled that Scattergories itch quite like TAGS. While I don’t get the thrill of those alliteration scores, being able to cleverly think of words in different styles of categories brought back those childhood feelings. Plus, it’s sort of nice to have something tangible to represent your points, and those giant . . . eh hem . . . marbles really do the trick. Plus, the game play time can go rather quickly, which leaves you with a slightly lower “why didn’t I think of that” feeling. Ethan’s Opinions: This is probably my surprise hit of the year, since when it was first announced, I wasn’t sure how I’d feel about it. While I do thoroughly enjoy both Between Two Cities and Castles of Mad King Ludwig, I wasn’t sure how well a combination of those two games would work. As it turns out, it works very well! Between Two Castles is a semi-cooperative drafting and tile laying game. You are working with each of your neighbors to build a castle, with the caveat being that at the end of the game, your final score will be that of your lower-scoring castle, so it’s in your best interest to make them both as good as you can. Borrowing from Castles of Mad King Ludwig (and actually more from its own successor, The Palace of Mad King Ludwig), there are several different room types which all score differently. For instance, food rooms score based on the types of rooms either next to them or above and below them, while hallways score based on the kind of decoration in all their surrounding rooms. Each turn, you pick two tiles, and then work with your neighbors to determine which should go in each castle and where to put it. Then tiles are passed to your neighbor and the process is repeated until there is only one tile left. In the second round, you do the same, except pass the tiles the opposite direction. After the second round the game is over and you can tally up scores for all the castles to determine the winner. This game is a lot of fun, and while there is a lot going on, everyone I’ve taught it to has been able to catch on quickly and figure out the best placement for rooms in their castles. I think it helps that both of your castles you’re building with a partner, so you can get some help in figuring out the best moves. The game does go by pretty quickly, especially with just 2 rounds of 4 turns each (so 16 total rooms added to each castle), though with any more than that the scoring might start to get unmanageable and unbalanced, so I can see why it was done that way. There are definitely cool combos and layouts you can do with your castles, and lots of ways to earn points, so there doesn’t appear to be a dominant strategy after my first few games. I only regret that Amber hasn’t had a chance to play this game yet, but I’m sure she’ll get to try it out in this upcoming year. Amber’s Opinions: Before this game, I never really had the experience of just understanding how a game works. I personally have a really hard time strategizing when playing games and while I feel I have a knack for learning rules, I seem to never really learn how to win. When we played Welcome To . . . for the first time, I just really got it. I’m not sure if it was all that time spent playing Sim City as a kid or if in one of my past lives I was a city planner, but I won the first time we played. Now, for me that’s a pretty good indicator that I got EXTREMELY lucky and since I have one of the smartest husbands in the world, he probably was just still figuring out how to play. But we played a second game directly after the first and I won again. We decided against a third so as to not break my winning streak, but I left the gaming feeling confident in my wins. One thing I really liked about this game is that everyone is choosing from the same pool of card combinations, giving a bit of a Karuba feel with a bit more strategic choice. Much like when I play Karuba, I would place my house in its neighborhood then peak around at other players to see where they were placing THEIR houses. Did they opt for the pool? Or did they think fencing was more important? With plenty of sheets to play with (and special laminated copies on the way), I can imagine we’ll be playing Welcome To . . . for a long time. Ethan’s Opinions: For my #2, I have perhaps one of the most controversial games to come out this year, in that people either seemed to love it or hate it and claim it’s not even worthy of being called a game. Obviously I am in the former camp. The Mind is deceptively simple; there are cards numbered from 1-100, and players must work collectively to play them in ascending order without any communication. Everybody gets the same number of cards as the current round (so in the first round everyone only has one card, in round 2 everyone gets 2 cards, etc.). When the round begins, players must “meld minds” and determine the correct time to play their cards. For example, if I start with a 65, I can be fairly certain that someone has a lower card that should be played first. But what if after some time nobody else has played a card? What if my 65 is the lowest card out there? That’s what you have to figure out, all without communicating with your fellow players. If someone does play a card out of order, the wronged player(s) stop the game, discard all of their cards lower than the one just played, and the team loses a life. If all lives are lost, the game is over, though you can gain lives back every few rounds. There are also shuriken cards that players can unanimously decide to use, allowing everyone to discard their lowest card. This is a good way to solve an impasse and get a better sense for the range of numbers everyone is holding. If you can make it through 8/10/12 rounds (depending on player count), you win! As I said, this game is deceptively simple, and I think we’ve only won once so far out of a half dozen or so plays. It gets easier to sync up with your fellow players after repeated plays, but it’s still not an easy task to complete. This game is fun, quick, and very portable. It sort of reminds me a bit of Hanabi in that it’s a cooperative card game that relies on limited communication, but is less reliant on memory or clue-giving, but rather in trusting your instincts and those of your fellow players. It may be a weird sight watching a group of people sitting in silence staring at each other, but it truly is a fun experience to play! 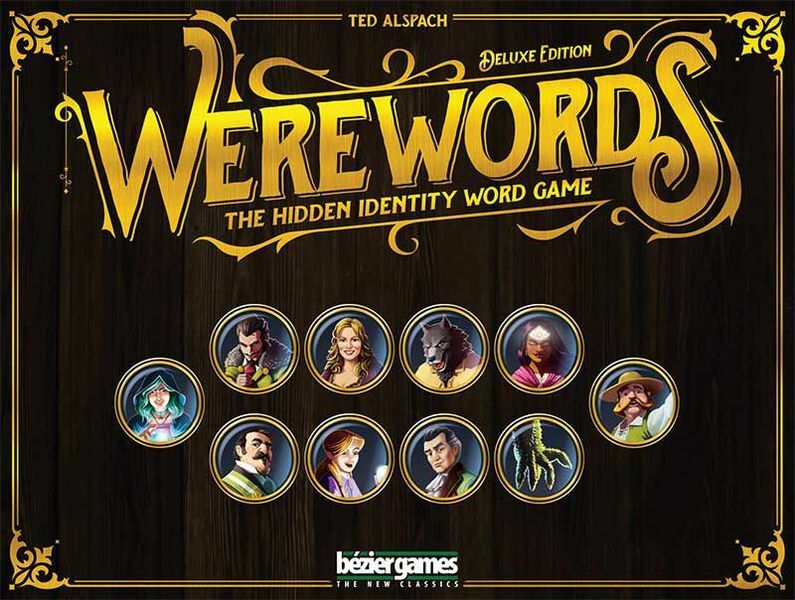 Amber’s Opinions: I can very well admit (thank you very much) that sometimes I find a game that I like so much that I get a tiny bit obsessed with (see: Werewords). When we were first introduced to Space Base, that was it for me. I wanted to play it multiple times in a row. I immediately needed to buy it. It was going in our collection and it was going in there NOW! There was a lot of appeal with this game with me and one of the major reason I liked this game was not only that it felt a lot like Valeria: Card Kingdoms in space, but it really forced me to pay attention, even during other people’s turns. I know that sounds really terrible and I know I’m one of those gamers that some people HATE to play with. But unfortunately I get extremely distracted and start to think about other things on other people’s turns. With this game, however, letting your mind wander gets you behind, as you gain on your opponents turns too! This combination of luck and strategy has appeal to all different styles of gamers and I can’t wait to keep introducing it to new people. Ethan’s Opinions: My pick for #1 game of 2018 has to be Space Base, which was a major hit with our gaming group this year. We first played this back in April when our friends brought their copy to Gaming Hoopla. We then played it twice more over the course of that weekend, and requested a copy from our FLGS immediately afterwards. Space Base is a engine/tableau-building game, with elements similar to Machi Koro or Valeria: Card Kingdoms. Players have a board with cards numbered 1-12, each with a different effect. On your turn, you roll 2 dice, and either use each die, or the sum of the two, to activate cards in your tableau. Many cards will give you currency to purchase new cards for your board, while others give you victory points or have other special effects. When you buy a new card, the existing card is flipped upside down and tucked under the top edge of your board so that only the red action on the card is visible. On other players’ turns, you can use the result of their die rolls to activate your red actions, giving you more money and points, or charging up abilities that can be used on your turn. The game is played until someone gets 40 points (and then you finish out the round). Space Base is really easy to learn and play, and it’s been enjoyed by both very new players and seasoned gamers alike. I’ve never actually played Machi Koro, so can’t really compare the two, but everyone I’ve played with said they enjoy Space Base a great deal more. And just as we played several times when we first experienced it and then rushed out to buy it, several others in our gaming group did the same. It is a fun, quick, and easy game, with still enough strategic depth for heavier gamers to enjoy. I played a total of 9 times last year, and it still hasn’t worn out its welcome, but I can only hope it’s popular enough to get an expansion with some new cards and actions. Until then, we will certainly continue to enjoy Space Base! Thank you all for a wonderful 2018! We hope you had a great holiday season and are reading to get back into gaming action! Like what you’re reading? You can help support us by buying games (or anything else!) using our Amazon affiliate links! This comes at no cost to you, Amazon gives us a little thank you for linking to their products. Would you rather give to us directly? You can use our Ko-fi link to “buy us a coffee” instead! Thank you for your support!